Giving and receiving feedback can be challenging. This is especially true if you’re hoping to exchange feedback that actually has a positive impact – that contributes to increased awareness, motivation and growth. And this is the case for both praise and criticism; either one can be difficult. Sure, offering and receiving positive feedback feels more comfortable than negative. But both types can be delivered or received in ways that are less or more useful. So what makes feedback better? In-Person Conversations: Giving and receiving feedback via phone, text, or email can be a minefield. It may feel more safe and comfortable to do so, but it can lead to confusion, misinterpretation, and frustration. Yes, we all have to do business digitally: we share input and suggestions about a myriad of projects every day. But when exchanging personal feedback – input about someone’s performance, presence or communication style, for example – it’s best done as part of an in-person conversation. When in this setting, we can read body language and tone, clarify meaning, and exchange perspectives. All of this makes for a much more productive setting for sharing feedback. Regularity: If feedback is only exchanged once a year – or worse yet, only when something goes really wrong – then it’ll have limited impact. The chances aren’t good that it’s going to make a material difference in perspectives or behavior. For feedback to be powerful, it needs to be exchanged regularly, as part of the ongoing nature of a relationship or the culture of an organization. That way, people benefit from a range of input, and from seeing patterns. Exchanging feedback regularly also normalizes it, which helps prevent the receiver from misinterpreting, over-analyzing or rejecting it. Tone: The tone in which a message is delivered might be more important than the words used. People can pick up on tone and energy, even without anything being said. Whether you’re giving or receiving the feedback, work to become more conscious of your own tone. And what influences the nature of your tone in any moment? Your intentions. Your presumptions. Your emotions. 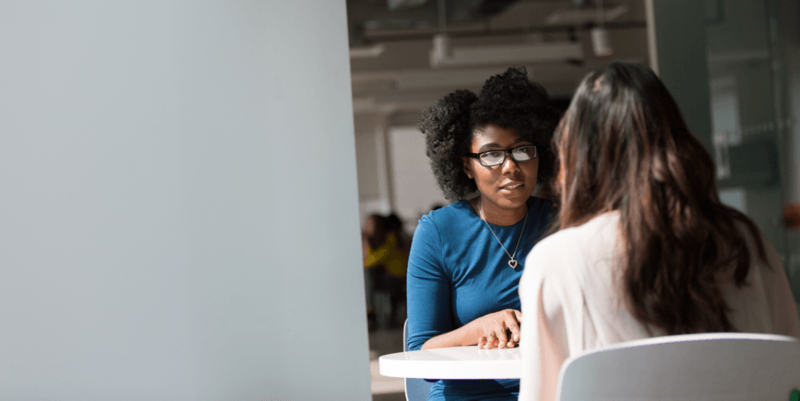 With increased awareness of these factors while you’re engaged in an exchange of feedback, you can more intentionally and effectively regulate your tone. Trust: Trust serves as an important foundation for exchanging feedback. When two colleagues have taken the time to authentically build rapport and trust, each person will be more likely to assume the other has the best intentions in mind when offering feedback. They will give each other the benefit of the doubt. On the flip side, if little or no trust exists, then both individuals will be more likely to assume bad intent, which leads to defensiveness and overreaction when receiving feedback.